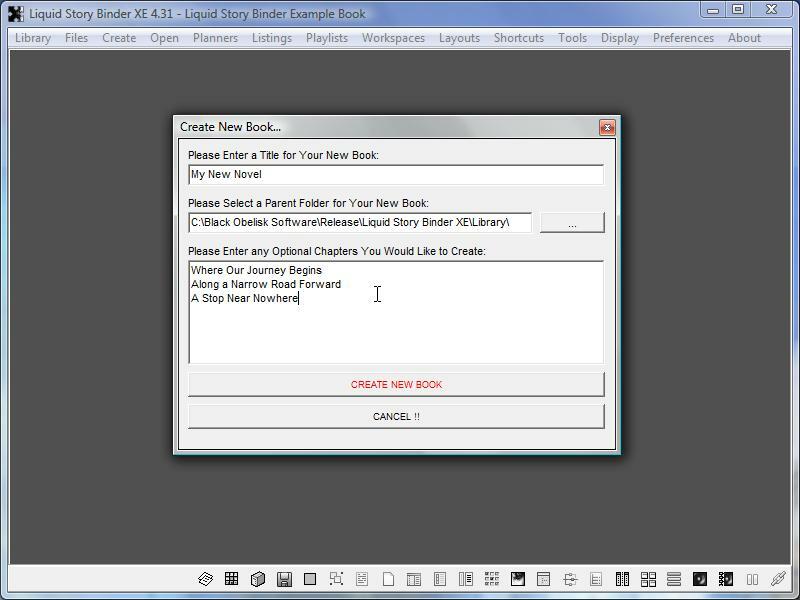 To start a new book, choose 'Create New Book' from the main 'Library' menu. Begin by entering a title for your new book. 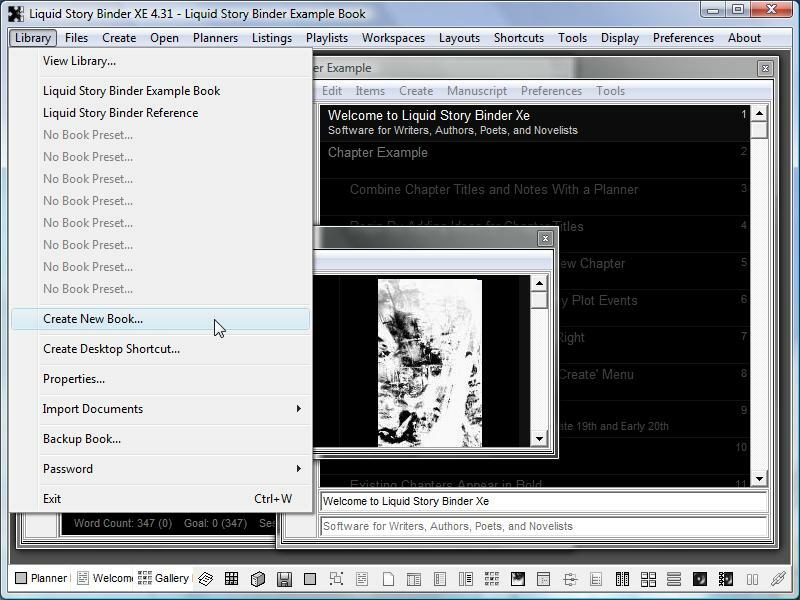 At this point, you may enter any new Chapter titles you like Liquid Story Binder XE to automatically create for you. Enter the titles using the 'Please Enter any Optional...' box. This option can be skipped. 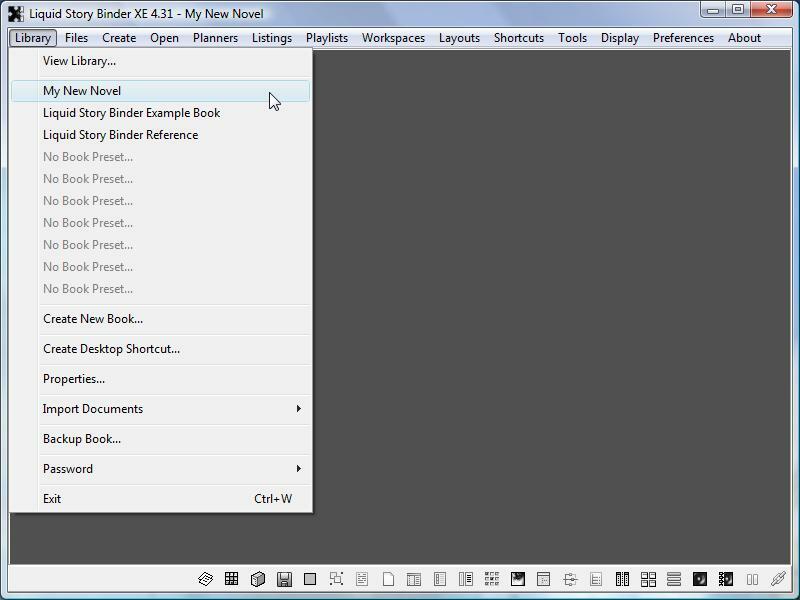 Click the 'Create New Book' button to finish. A new empty Book will open and its title added to the 'Library' menu. 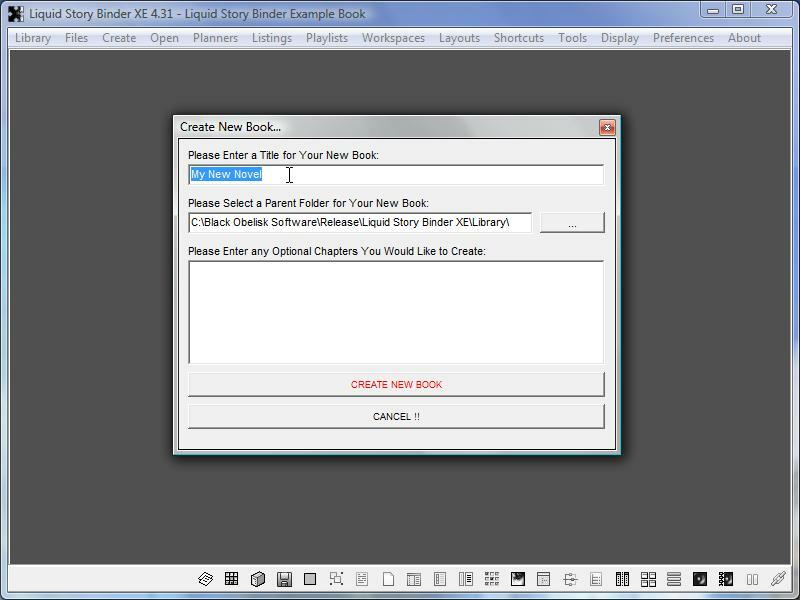 If, in the previous step, you choose to pre-add Chapter titles, Liquid Story Binder XE will have created a new Planner for you. From the 'Planners' menu, choose 'Table of Contents'. If no 'Table of Contents' Planner has been created, choose 'New Planner' from the 'Planners' menu. 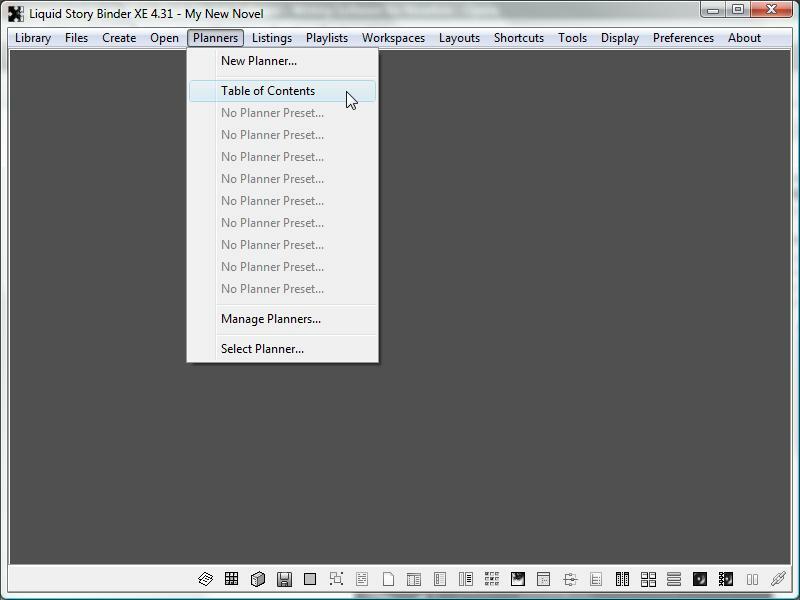 In the dialog that opens, enter 'Table of Contents' as your new Planner title, and click 'OK!!'. Planners turn a simple list of ideas into Chapters. Think of Planners as a table of contents with subtitles. 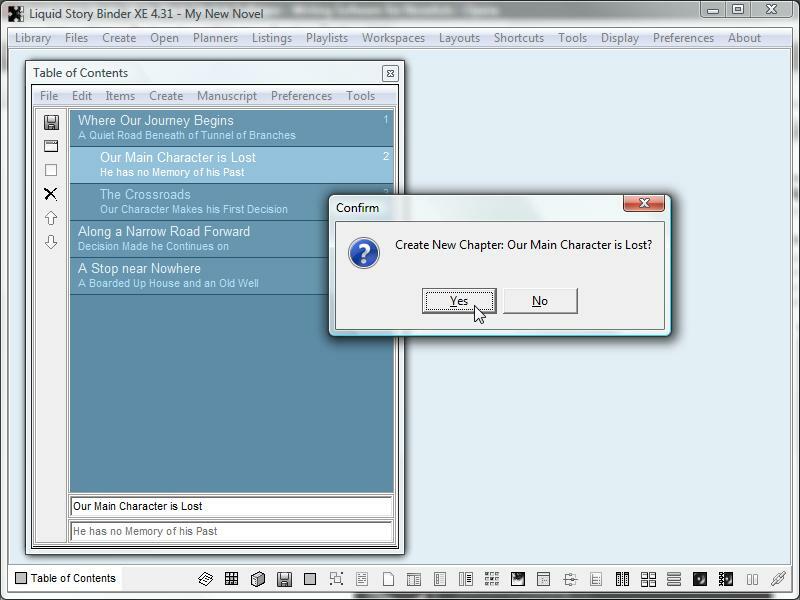 Click any item, and the Planner will create a chapter based on the item chosen. Planners combine Chapter titles and notes into a single list. Notes are indented while existing Chapter titles remain to the left. 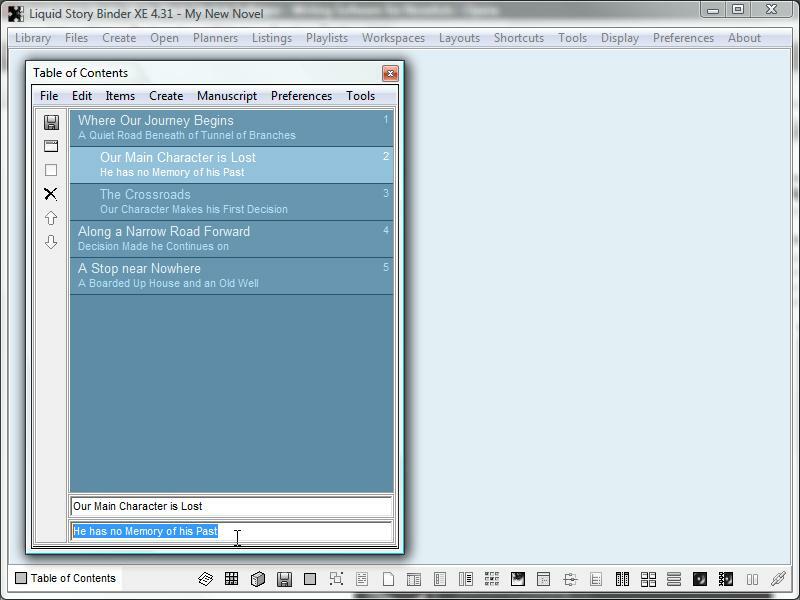 Use the two edit boxes located at the base of the Planner window to add Chapter titles and descriptions. Use the item description as a helpful content reference.